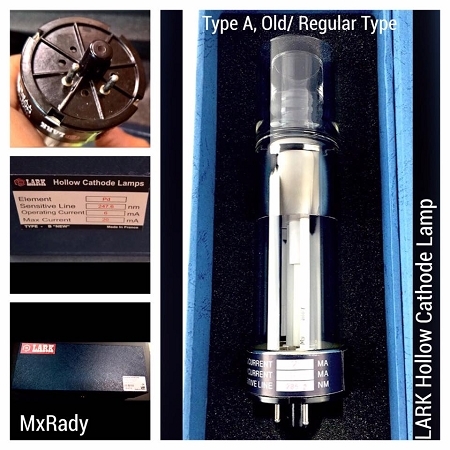 Hollow Cathode Lamps (HCL) are discharge lamps designed for use in Atomic Absorption (AA) instruments. They consist of a cathode made from the element of interest, an anode and an inert filler gas contained in a glass envelope. Lark offers the widest selection of single- and multielement coded / non-coded in low and high-current, 37 mm and 50 mm lamps in the industry. 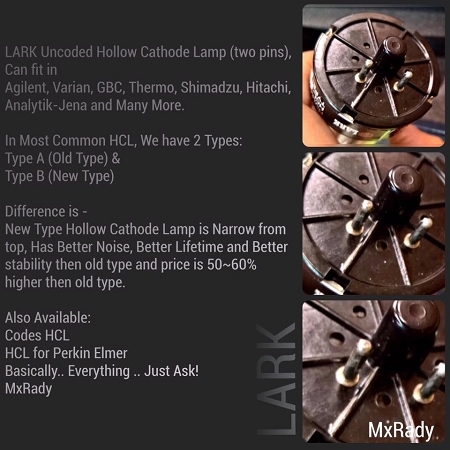 LARK Hollow Cathode Lamps are available both for OEMs and as a replacement lamp by discerning users the world over. The range includes standard lamps and data-coded versions for PerkinElmer and ThermoFisher atomic absorption spectrometers. Lamps for use with Smith-Hieftje background correction can also be offered. Customary diameters 1 ½" and 2"